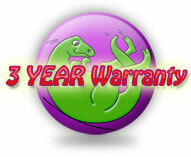 ALL Dinosaur PCB's have a THREE YEAR Warranty! Ignitor boards should be installed by trained service technicians. Our Policy: We strive to have the most competitive prices. If for some reason our price isn't already your lowest quote, we'd appreciate the opportunity to do what we can to earn your business. NOTE: If you do not see your board on our site, please e-mail us (Parts[at]PartsForTechs.com) or call 1-800-630-1230 - the below boards are only some of the popular fast moving boards - not nearly everything is uploaded yet. 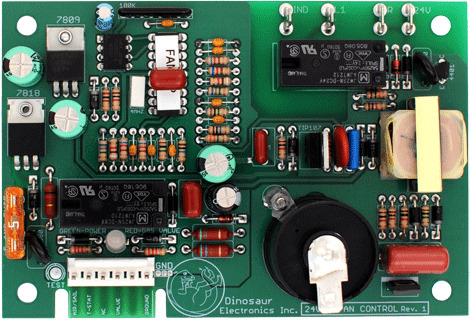 We keep most all of the Dinosaur replacement circuit boards in stock year-round! 2-Tab Mounting kit for Atwood® Hydroflame Water Heaters includes cover (shown below) for UIB Series Igntior board. This is the clear protective cover made specifically for Dinosaur Electronics's UIB S ignitor board (3.25" x 4.25"). DO NOT USE FOR A FURNACE! This is the clear protective cover made specifically for Dinosaur Electronics's UIB L ignitor board (3.43" x 5.10"). DO NOT USE ON FURNACES!